When it comes to winemaking, outside the Port trade the Anglo-Portuguese alliance seems to revolve around the name Richard. Take the Richardsons of Mouchão and Sir Cliff Richard of Adega do Cantor. The latest Brit to continue in this tradition is wine writer Richard Mayson, who has published several books about Portuguese wine, Port and Madeira. Not content with marrying into the Blandy family of Madeira fame, he acquired his own estate – Quinta do Centro – in 2005 in the Portalegre subregion of Alentejo (what is it about wine writers and Portalegre?!?). The wines are made in partnership with well known winemaker and consultant Rui Reguinga under a telling brand name – Sonho Lusitano (‘Lusitanian Dream’). I asked Mayson about living the dream in this second of three features about wine writers making wine in Portugal. Next up, Tiago Teles. In Portugal: my family were textile manufacturers and had business connections there. Holidays and business trips were often combined. My parents had a house in Portugal and introduced me to wine at a fairly early age. When did you get bitten by the wine bug – when did it become a serious hobby? My first job bit me with the wine bug. I had just left school, aged 18, and I was enjoying a gap year in Portugal when I found a job in a restaurant. The owners put me in charge of the wine list, really just making sure that the cellar was stocked with wines on the list and re-ordering. But I recall thinking that this is a really interesting subject and went up to Lisbon to buy some books on wine which I read on the beach on my afternoons off. During the winter months I began visiting vineyards and, through some business contacts of my parents I was invited to lunch by Jorge Ferreira of the eponymous Port shipper. It was 24th March 1980 and I recall thinking ‘this is the life’ The bug had bitten! What led you to a career in wine writing? While I was at University I had to write a dissertation as part of my degree. Using the contacts I had made in Portugal during my gap year I spent July/August 1982 researching the micro-climate of vineyards in the Douro. With our family textile business having just made a large number of redundancies in the recession of the early 1980s there was no job for me so I decided to apply for jobs in the wine trade. I was lucky to be taken on by The Wine Society where one of my tasks was copy writing, both offers and tasting notes to include in mixed cases. But I always had an idea that I wanted to write a book on Portuguese wines and, with family business commitments pressing, when the opportunity came up in 1989 I left the Wine Society to become a freelance wine writer. Portugal’s Wines and Wine Makers was published in 1992 by Ebury Press. In your writing, which wines have most inspired you and why? The answer has to be the Douro, and specifically I think Twenty Year Old Tawny Port. There is something truly magical and mysterious about the mellifluous balance and poise of these wines which are not based on a single year or vintage. I suppose I was also similarly inspired by Sherry (having had an extended visit to Jerez on winning the Vintner’s Scholarship in 1987) and then Madeira having visited the island for the first time in 1990. In your writing, which wines least inspired you and why? That is a very challenging question to answer as I am interested in all wines. However I am least inspired by some of the big brands and the commodity wines sold at key price points by supermarkets. In fact I find most of these ‘better than half price’ offers depressing. Has the answer to either of the above questions changed since you have started to make wine yourself? No, I think making wines yourself merely entrenches your opinions. As a wine producer it is frustrating to see consumers fobbed off with poor wine, sometimes at a high price and you often think ‘I can do so much better than that’! What motivated you to make your own wine? Was there a particular trigger? I always had it in the back of my mind to put my money where my mouth is. I had been writing for years about how much potential Portugal had/has as a wine making country and I wanted to show it for myself. There is some satisfaction in poacher turning gamekeeper. Given your specialism in Port, Madeira and Douro wines, why Alentejo? Two main reasons: the Douro is a complicated place and, by the time I had got round to making a move, it was increasingly crowded with players many of them making excellent wines. Plus the fact that real estate prices had lost touch with reality. My Alentejo isn’t just any Alentejo but a corner of Portugal that I have had my eye on for years. 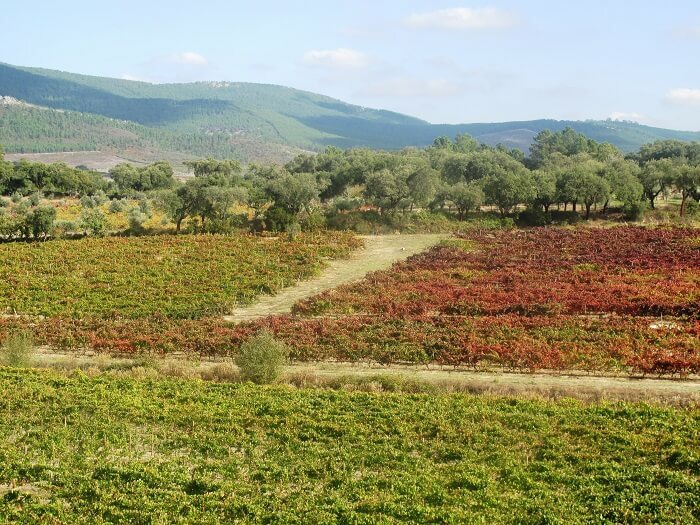 First the Portalegre region is spectacularly beautiful and more like the north of Portugal than the south with smallholdings on granite and schist mountains. It has a fabulous terroir and I wanted to prove that and put the place on the map. Once you decided to make your own wine, how long did it take until you made your first wine? How long is a piece of string? It took me quite a long time to find the right place and you never quite know if you are going to do it until you find the right spot. I suppose it took me five years or so from starting to look seriously to producing our first wine in 2005. What was your vision for your wine and has this changed in any way? I half-jokingly said when I embarked on this project that I wanted to be the ‘Petrus of Portugal’! I do now realise that to be Petrus (or for that matter any other great iconic wine) you have to strive for and achieve perfection at all levels. Perfection only comes at an enormous cost, both financial and emotional, and as a result most wines are a compromise, shaped for the market. I do believe that we have the natural conditions in the Serra de São Mamede to make truly fine, world-class wine but that it takes time to get there and the price you get for all your hard work depends on what the market will accept. Buying a vineyard and making and selling your first wines brings a strong dose of practicality into your initial dream. Doing it during one of the most severe financial crises in history only serves to test your dream further. From the outset did you have a strong idea of who would be most likely to buy and enjoy it and is this important? Yes, I always planned to make three different red wines. Starting with one wine, Pedra Basta, in 2005 we got to three (Duas Pedras and Pedra e Alma) in 2009. Before we launched our first wine Pedra Basta in 2007 we tested the market to make sure that we were well into the right price / quality category both in Portugal and, more importantly, internationally. Getting the name and image of your wine right is also very important if you are going to target a specific market. Basically we knew our market and we continue to target it even though that target keeps moving. How involved in the grape growing, wine making, branding/packaging and marketing process are you? I tried at the outset to get involved at all levels but, with three young children at home and other jobs to do this isn’t possible. However I like to know what is going on and take the strategic decisions in the vineyard, over blending the lots and certainly over branding/packaging and marketing. I am very lucky to have an excellent and trustworthy team, including an excellent wine maker in Rui Reguinga who is also my business partner. We think along the same lines and like the same sort of wines, so that helps! Did you have any winemaking experience or undertake any winemaking studies before making your own wine? I have spent a life in wine which included working at a number of wineries both in Portugal and Australia so I knew what I was getting into. But do I have a formal qualification? No. I wouldn’t trust myself to be responsible for a vintage on a day-to-day, hour-to-hour basis but I know what is going on. Do you have a mentor or a wine hero who inspires you? That’s a hard one to answer because I have so many good friends in the wine business whose influence has rubbed off on me over the years. To name just a few I would say Rick Kinzbrunner at Giaconda in Victoria, Australia, the Roquette family at Quinta do Crasto in the Douro in the Douro and Dirk Niepoort who has reinvented his family business over the past twenty five years. How has your experience as a wine writer informed the style of wine you make, the region and/or varieties from which you source grapes and how you brand and market your wines? I would say being a wine writer has had an influence at every level. You see so much of the wine world as a wine writer; the great, the good and bad and the ugly. This means you form pretty clear views as to what works for you. Obviously, in terms of style, first and foremost you have to respect the terroir. I used to be a terroir sceptic but now I am a terroir fanatic. We source our grapes from my own vineyard so our wines are site specific. The grapes that I have are partly those that have a historical track record of doing well in our area but also those that I like and have a hunch for, like Syrah and Touriga Nacional. Much as I love it as a variety, I wouldn’t plant Pinot Noir in Portalegre any more than I would plant Syrah in Sheffield! Although our wines are from a single estate, Quinta do Centro, I decided early on to brand our wines based on the local terroir rather than follow others down the much repeated single-estate route. 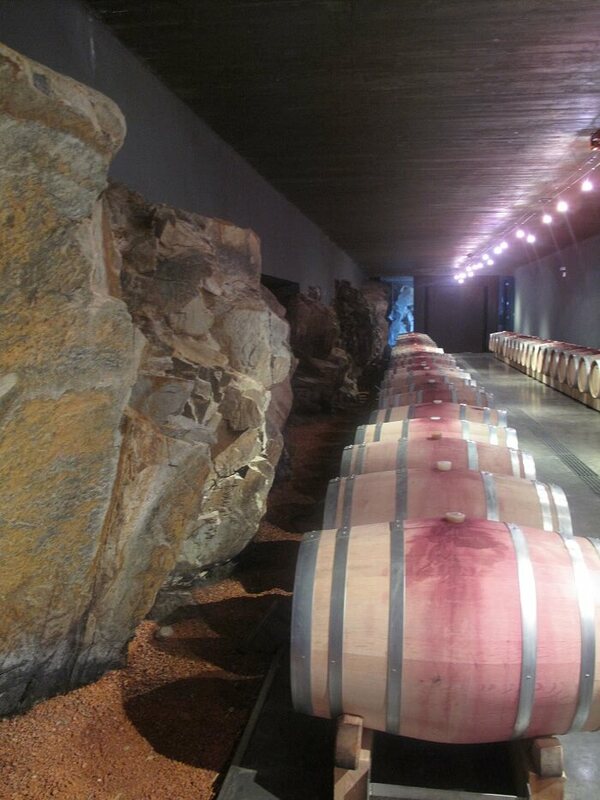 ‘Stone’ (Pedra) is our common theme and it reflects my belief in our predominantly granite terroir. Writing about wine provides you with an insight into the process, the market etc but has making your own wine involved any unexpected challenges/difficulties? If so, what are they? Yes, there are times when the dream becomes a nightmare, especially when things go wrong in the middle of vintage when everyone is working to their maximum and is fairly tense. I did spend one vintage knee deep in effluent when the sewage plant failed to work. You don’t think of these things when you are tasting wine but to make good wine you need plenty of water and it has to go somewhere. Conversely, has making your own wine surpassed your expectations in any way? Are there any aspects of the process which you find particularly enjoyable? I love it all (part from the sewage obviously) but I think that marketing and selling our wine has given me more satisfaction than I expected. Has being involved in the production process changed your perspective about the world of wine in any way? Yes, I would say that producing wine has changed the way I think about just about everything to do with wine. As a wine writer you are on the receiving end of a lot of generous hospitality and you don’t often see the commercial angst that goes into winemaking at almost every level. Wine regulation is particularly frustrating. Are you happy with your range – in terms of the wine itself (does it match your vision), the sales, the price point? Yes, I am very a happy with our range. 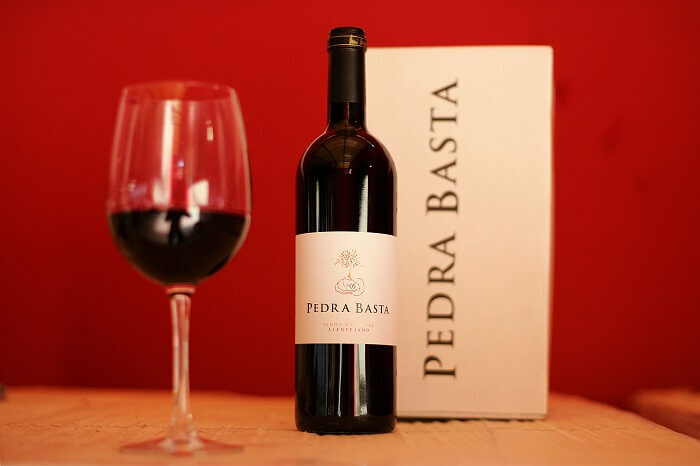 Pedra Basta is our principal wine and sells in the UK for around £12.50 with Duas Pedras at £8.50 and Pedra e Alma at around £20.00. I believe that all our wines offer good value for money and that is important. You need to believe in your products. What next (any plans to expand the range)? Possibly a white Pedra Basta, possibly a rosé. It is always under discussion. 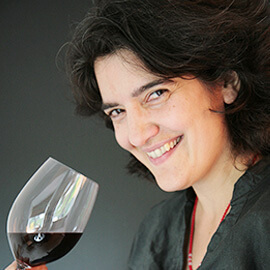 What is the most exciting thing happening with Portuguese wine today? I think white wines have proved and are proving incredibly exciting in Portugal. Plus I like the rehabilitation of the Baga grape that is taking place. Wine is a luxury, not a necessity – what makes it worthwhile and what is the minimum amount consumers should expect to pay for a quality interesting wine? Variety is the spice of life and there is nothing more varied than wine, its style, character, history and packaging. Just look at the average supermarket range. You certainly don’t get anything like the variation with orange juice or baked beans! How much consumers should pay depends on the market but in the UK with so much of the cost of wine being fixed in the form of duty and overheads I would say £7.50 as a rule of thumb, remembering all the time that the more you pay, the more wine you are getting for your money. There is so much competition for shelf space – why should retailers and consumers pick Portugal? Portugal has rediscovered its terroir over the past twenty years and is a very exciting place to be. Within Portugal there is a huge spectrum of wines, red, white and fortified, more I would dare to say than from any other country of a comparable size. Portugal offers a unique range of flavours from fascinating grapes as well as great value for money. Anyone with a genuine interest in wine should take more than a passing interest in Portugal. It may not be the easiest country to understand but it pays huge rewards for those who make the time and effort. And why should they pick one of your wines? What’s the story? 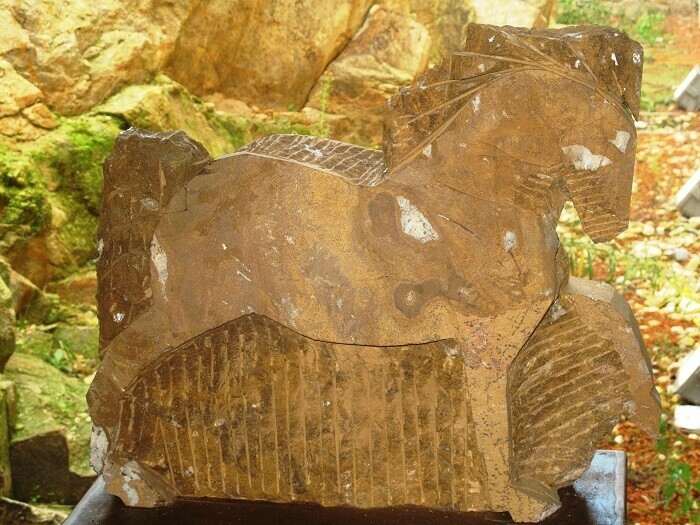 Pedra Basta 2010. This is the wine I have always wanted to make. 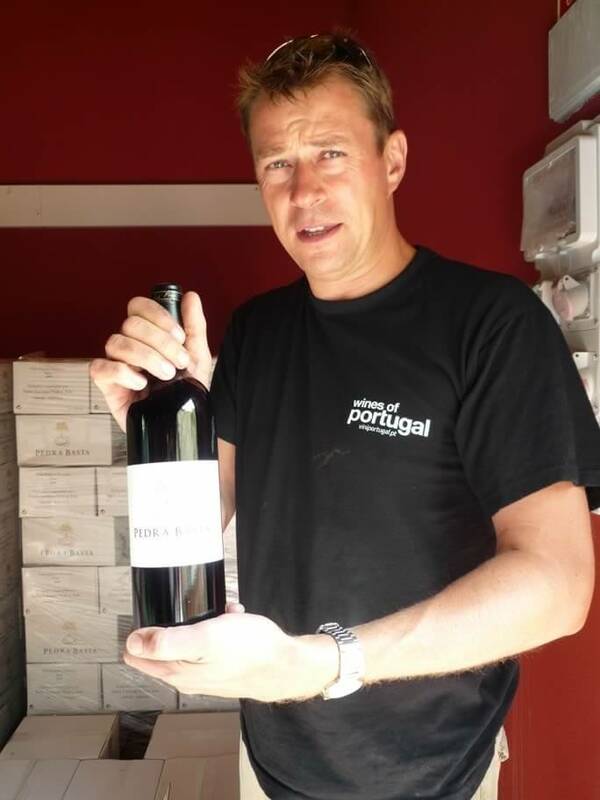 We have just released the 2010 vintage and despite it being a rather difficult year, Rui Reguinga did a great job and I think the wine is our best yet. We have deliberately eased back on the oak to allow the fruit to express itself more. The wine is a true reflection of our mountain terroir, ripe fruit combined with freshness and finesse. The grapes are Trincadeira, Aragonez and Alicante Bouschet with a touch of Cabernet Sauvignon. I won’t fill this answer out with wine writer’s purple prose so suffice to say that I am very, very proud of it. Try it for yourself and see if you agree.